Castor oil is known as a useful oil from past to present. Castor oil is used especially for beauty purposes in our country. But recently, new benefits have emerged of castor oil. What is castor oil? Here is the answer to the question and benefits of castor oil. 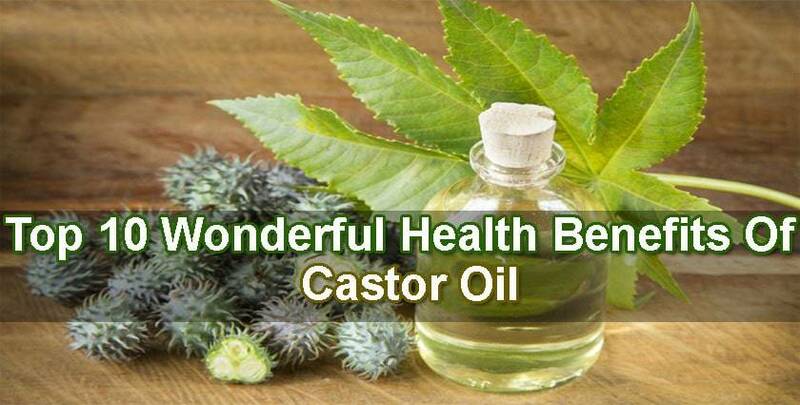 Castor oil plant is called castor oil yellow liquid resulting from the crushing of seeds. The most important reason for the health of castor oil is that it contains unsaturated fats. Castor oil is the most popular country in India. 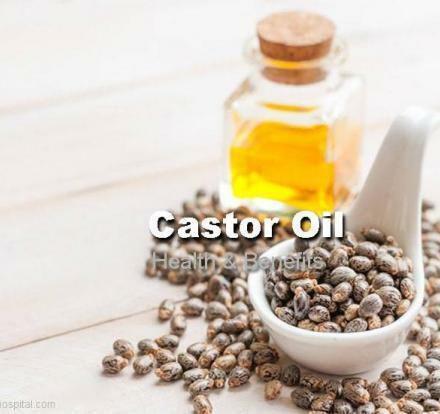 Castor oil is mostly used in Africa and India. It contains antioxidants and is used too much because anti-inflammatory. The use of castor oil is generally used in beauty and cosmetics in our country. However, recently, have emerged newly discovered benefits of castor oil. 1.) Relieves Intestinal Inflammation: To relieve this discomfort, apply compresses to your abdomen with castor oil. Soak a cloth with castor oil and apply to abdomen. Wait an hour or two for it to work in this way. Repeat twice a day according to your needs. 2.) Eliminates Calluses In The Foot: Castor oil helps to purify feet of dead skin. Soak a cloth with castor oil and apply to problematic area. Wrap it with gauze and fix it by wearing a sock. Wait one night and in the morning, you can easily get rid of the softened calluses. 3.) Extends Eyelashes: Many cosmetic products contain castor oil due to this feature. Castor oil makes the eyelashes look fuller and longer. This oil can also be used for eyebrows. You can apply with mascara brush. Apply at night and do not rinse with water. 4.) Skin Care: Since it is an effective moisturizer, it is used in many cosmetic products and creams. When used in skin lotions, pomades and creams, it has a softening and protective effect on skin. It treats dry skin problems, eczema, exfoliation, sores, burns and skin wounds. It can be used to make a shampoo which can make the hair more shiny, healthy and unbreakable. It is used to treatment of dandruff, insect bites, especially mosquito bites. In addition, it is highly effective against skin aging. 5.) Strengthens Nails: If you have easily broken nails, you can apply castor oil to all of your nails by pouring it into a cotton. As a great source of vitamin E, castor oil will make your nails look beautiful. 7.) Can Be Used As Body Massage: In spite of the pain in the body, the pain in the joints and muscles, body can be used as body oil for anti-inflammatory massage. Aromatherapy products are widely used. What Are Benefits Of Castor Oil For Hair? For hair can be used to get rid of infections that cause various scalp problems and cause hair loss. When applied on dry, scalp with scaly it protects moisture and improves the condition of scalp. Similarly, it can be used to get rid of dandruff and bitten. It also strengthens hair follicles and promotes hair growth. When applied to damaged, damaged hair, it acts as a perfect conditioner. For this purpose, mix the castor oil with almond oil, massage the hair follicles and apply them to theends. Wait an hour and wash with a high quality shampoo. Diluting the castor oil will make it easier to apply the oil, and it will not be difficult to wash hair. When used in normal amounts of castor oil has no side effects. However, pregnant women, nursing mothers, people with underlying health should only take castor oil after consultation with their doctor. Excessive dose of castor oil may cause nausea, vomiting, diarrhea, abdominal pain. What Are Benefits To Skin Of Castor Oil? This Oil features, help to grow and thicken eyelashes and eyebrows. Although it creates miracles, it is extremely affordable. We have already mentioned a lot of nutritious properties, but the most important feature of castor oil, is that it can penetrate the skin and carry nutrients. When used with castor oils, it brings a lot of shine and shine. The amount of this oil you need for natural hair care is very small; a few drops of castor oil is enough to feed ends of your hair. Since structure is quite oily, you should avoid using a large amount until you find appropriate dosage for your hair type. Use castor oils for hair scalp treatment in order to effectively extend your hair again. But do not forget to use with a lighter oil to easily apply the oil. It helps the treatment of wounds with a large amount of hardened scar tissue, such as keloit type, thanks to its ability to penetrate multiple skin layers deeply. This softens the skin so much that it helps the deep scar tissue to break up and hence to heal. Furthermore, castor oil is a substance that can stimulate white blood cells. Reduces inflammation in subcutaneous tissues. It accelerates the healing of wounds, reduces the risk of scarring. You can try apricot kernel oil or melted coconut oil to spread easily. This oil is also an excellent tool in protecting lips. Our lips quickly revive and heal, but when they are dehydrated they dry easily and begin to peel. You can protect your lips health by using castor oil and bring a natural glow to your lips. 1. This oil can cause vomiting and nausea, causing digestive deterioration. 2. Although it a very positive effect of constipation, it has a constructive feature of diarrhea. 3. May cause skin irritation in persons with sensitive skin. 4. It causes itching and redness on the skin as a result of overuse. 5. It can cause cramps when you apply it by massaging the skin. 6. Do not touch the lip, swelling may occur in the lips and tongue. 7. Creates water loss in the body. 8. Anyone with serious illness should consult a doctor before using castor oil. 9. Cramping And Swelling: Castor oils may cause cramps when applied in the form of massage for the skin. It is an oil that can cause swelling in the lips and tongue area. 10. Dizziness And Loss Liquid: Castor Oils may cause diarrhea and may cause loss liquid in body with dizziness. 11. Irregular Heartbeats: After consuming castor oil, heartbeats may have problems. If such a problem is encountered, a doctor should be consulted.